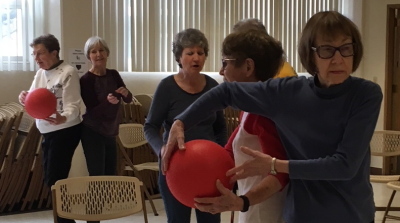 "This class is good for the heart AND soul- great people, a knowledgeable instructor and lots of encouragement and fun"
"Just had my check-up at the neurologist, and he was amazed at the improvement I have made since starting the class 2 years ago." "Looking forward to class each week!" 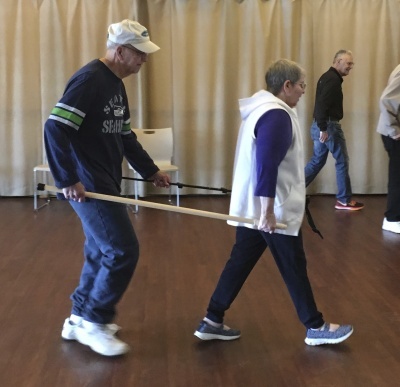 "With a smile and sparkling eyes, Lahni brings a sincere attitude to help us deal with Parkinson's"
"What a FUN way to exercise! Lahni is professional, knowledgeable, has boundless energy & creativity- every week is different. We not only exercise our bodies, but our voices as well. And it's not just the participants who benefit, but the spouses do too...new friends, great support, good fun. Just what we need!" "PD is a thief that robs you of things that you take for granted. I have lived with this thief for 14 years. When I heard about the PD class I procrastinated. 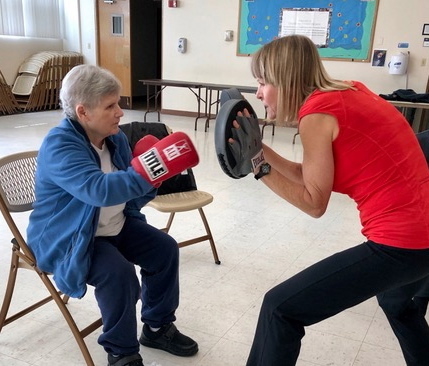 Finally I went to it and it has been one of the best decisions I have made"
"What a difference this class has made in my physical condition!" 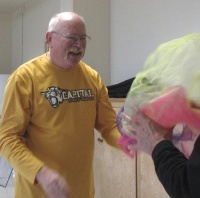 "This class has been a gift to our family- Lahni's work with my father in the PD MoveIT! 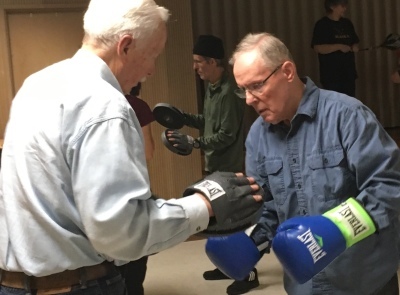 class has made a huge difference in his outlook and enthusiasm for life"
"I would highly recommend this exercise class!" 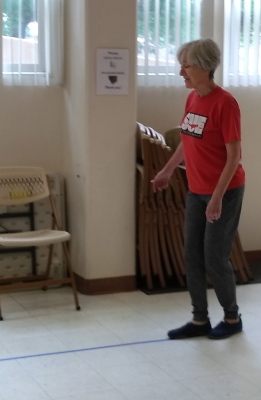 Lahni provides an atmosphere of encouragement, humor, and vibrant energy to the Parkinson's related physical exercises. 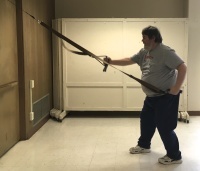 Students have fun while improving functional mobility. "My husband is a real fan of these classes. Since I started, he is amazed at how much more I can do, and how my confidence in my own abilities has grown. I'm able to do many things that I had stopped doing- and many of those things we do together!" 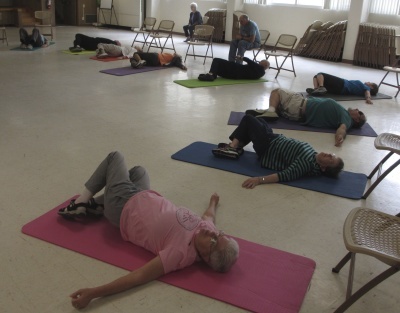 "I've improved physically and mentally since participating in this class. The routines are creative, fun and challenging at the same time."